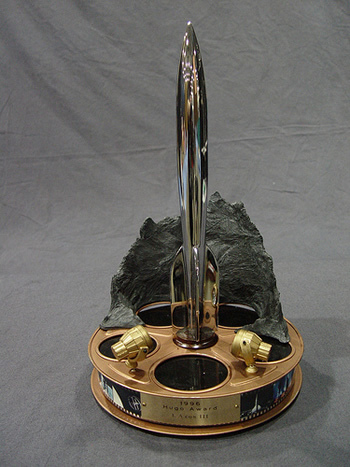 The photograph is of the 1996 Hugo Award. The 1946 Retro Hugo Award was identical except for the film reel that acted as the base. The Hugo bases were gold in color. The Retro-Hugo bases were copper colored.